Forest fires have been in the news recently. Some are natural, but many people believe that climate change is causing them to occur more frequently. 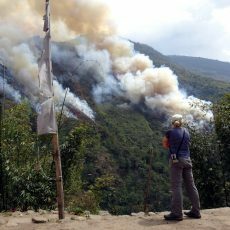 Earlier this year, we witnessed a Himalayan forest fire that we believe was entirely man-made.